My friend, Kristen, came up with tool that works - Slender Kitchen Meal Plans. 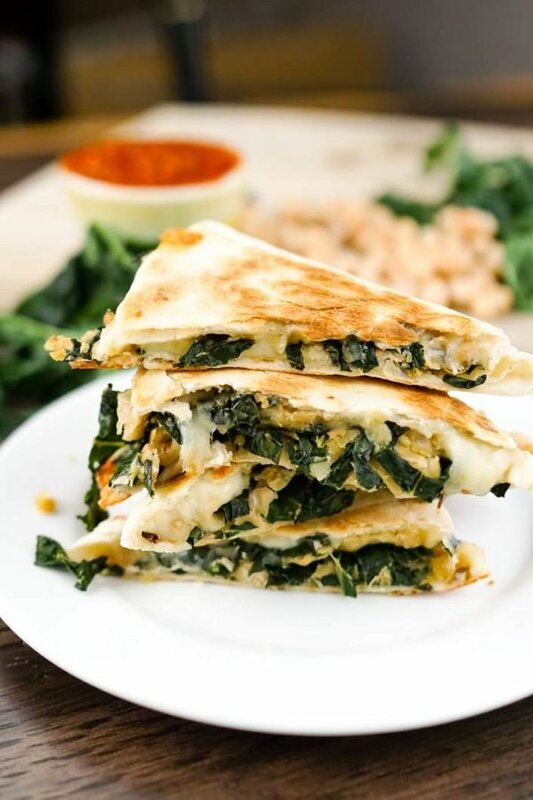 Below you will find her Rosemary, White Bean and Kale Quesadilla which is both nutritious and smart (and only 5 Freestyle SmartPts). The Slender Kitchen meal plan concept is simple and powerful. Every week, Kristen sends you a plan each week - you shop and cook the meals. The meals are healthy, easy, and have all the nutrition information (including Freestyle SmartPoints and the old SmartPoints for those using Weight Watchers). 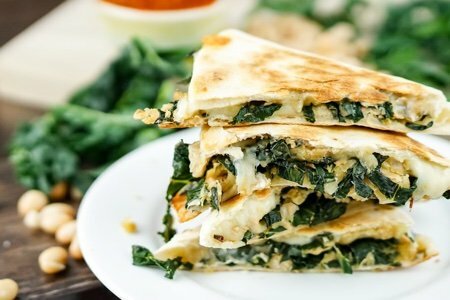 If you use frozen kale or spinach, how much would you need? Thanks! I started with Slender Kitchen back in February with the Low Carb meal plan. I find the recipes to be redundant and unimaginative. Also, there have been a few recipes that didn’t work... almost as if she tweaked a different recipe but never tested her “low carb” version. I find myself searching her database for different recipes that she uses for the Healthy Meal Plan and they are better and more reliable. I do like getting a new meal plan every week to jump start my imagination even if I only use one or two of her recipes. Overall, I’m glad I signed up for Slender Kitchen but doubt that I will re-enroll when my year is up. I went to the Slender Kitchen website because it seemed interesting. I was disappointed that you could not preview any information or sample menus before you bought into it. I would not subscribe without learning more. many recipes and have found them tasty and fairly easy to make. I pick and choose each week what I will make. I admit that like "most" cooks I will tweak the recipes once in awhile but overall am happy with the subscription. Sorry to be the crepe hanger here, but according to my Freestyle points finder, using the nutritipn info provided, the quesadilla is 10 Freestyle points not 5. I'm thinking that Lisa counted only the cheese & wraps cause beans are zero points? I have enjoyed having the structure of Slender Kitchen Healthy Meal Plans when I'm having a hard time imposing some structure on my eating. Some of her recipes are great and real favorites of mine. The annual price is very reasonable compared to some other options. For me, part of the fun of cooking is in the tweaking!